Ballistic gelatin testing is one way to get an idea of how a self-defense load might perform in a real world self-defense situation. 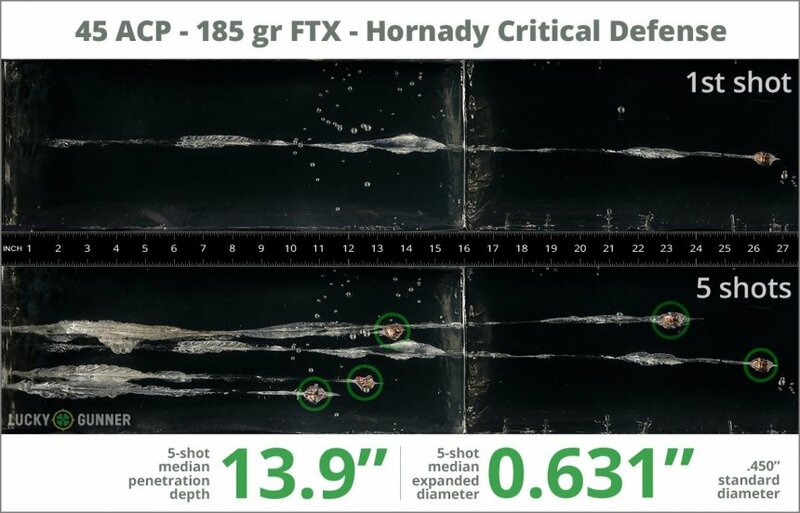 So we fired five rounds of Hornady 185 gr Critical Defense from a Kahr CW45 from a distance of 10 feet into a block of synthetic ballistic gel with a barrier of four layers of fabric simulating heavy clothing. We then gathered information on the expansion and penetration characteristics of this load. That data is represented in the chart below. 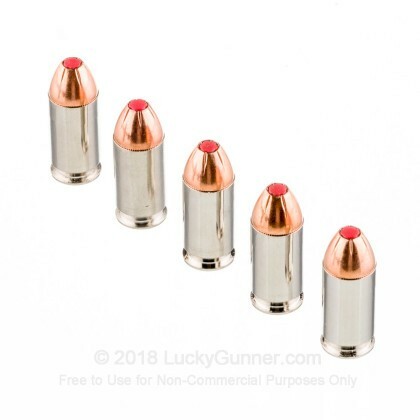 1.04" This ammo: 0.63" Min: 0.45" Median: 0.64" Max: 1.04"
13.9" 0" 8.3" 16.7" 32" This ammo: 13.9" Min: 8.3" Median: 16.7" Max: 32"
These perform as advertised from a Glock G21 with a 4.46 inch barrel. Expansion in my tests was very impressive. Penetration was more than moderate. You cannot go wrong with this bullet. Fired from a Springfield 1911 Loaded. Ammo fed without a problem and ejected cleanly. All shots in the x ring. Great ammo. I keep both mine and my wife's pistols loaded with these every day for every occasion. 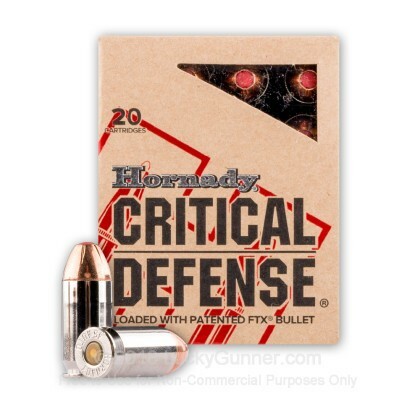 I rely on the excellent quality and performance of Hornady's Critical Defense ammunition no matter where we go or what we do.I am comfortable betting our lives on this ammunition and our firing drills. Practice, practice, practice and more practice. These shells have great expansion. 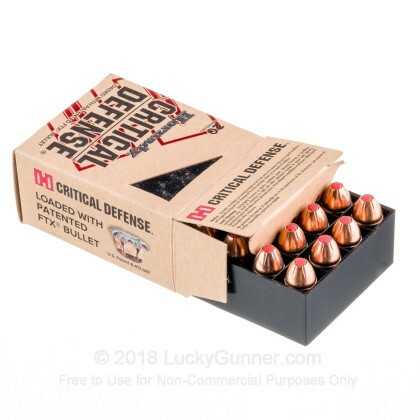 Just look up .45 critical defense rounds on youtube. Loves these rounds and have complete confidence in their performance, should the need to use them in a critical situation ever come up. This is what I keep in my Kimber Warrior for home defense. When fired into ballistic gel, this stuff always opens up into a perfectly round, nickel sized slug that does obscene amounts of damage. I've never had an FTF or FTE with it & it is accurate at the range. The only drawback is the price. This should be your concealed carry &/or home defense round. Use cheaper stuff for practice or plinking. Never had an issue with these in any of my Colt 1911s. Flawless but, pricey. I will bet my life on them. tested them against many different so called premium loads, these do better than most of them in all aspects. Best price Best cal.Best for my to save my LIFE !!! The reviews have given this ammo a great rating. I have not had any failures of any type to date. This is one bad looking bullet that does a lot of damage to what ever it hits! 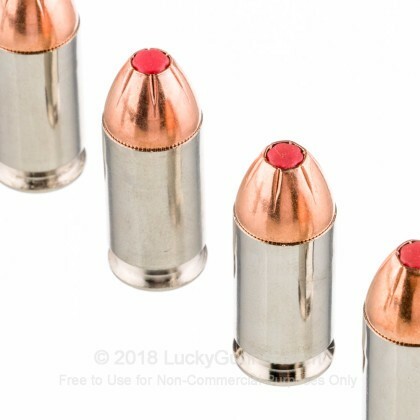 I handload these 180 grain FTX bullets over 10.0 grains of Accurate No 5 powder and it seems anything I hit with them looks like it has been hit with a full house 44 magnum. I shoot them out of a Springfield GI 1911 and have never had a failure of any type. I use the 1911 as my carry gun and always loaded it with these rounds so I guess you can say "Im betting my life on it"
All good ammunition is insanely expensive these days but this stuff is of a quality you can bet your life on. 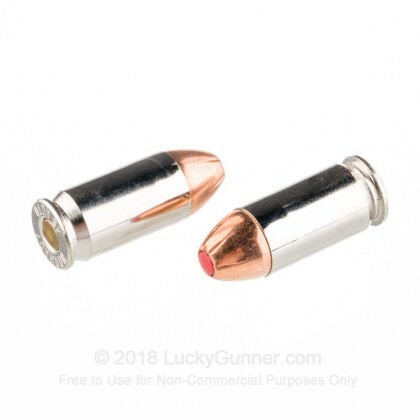 Q: I've heard about your .380 hornady ammo causing problems in the glock 42, will this stuff work in my glock 21 gen 4 properly? A: Hello John, Yes, these 185gr. 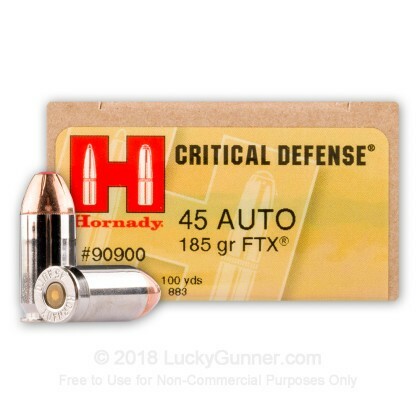 FTX rounds by Hornady in .45 ACP should function great in your Glock 21. They make excellent defense rounds in .45 ACP and I haven't had any problems myself with them in the same firearm. We also have this 45 ACP - 185 Grain FTX JHP - Hornady Critical Defense - 200 Rounds ammo in stock in a bigger quantity.